Jon is the President of STAR Physical Therapy. He is a graduate of Oklahoma University and has more than 20 years of orthopedic clinical expertise. He holds advanced certifications in Manual Therapy, through Stanley Paris’ University of St. Augustine, and Mechanical Diagnosis, Therapy of the Spine, through the McKenzie Institute, and in Postural Restoration from the Postural Restoration Institute in Lincoln, Nebraska. <!--more--> He has also earned certifications through Advanced Release Techniques (ART) for the spine, upper, and lower extremities and has been trained in Fascial Distortion through the Fascial Distortion Model (FDM). Jon has provided sports rehabilitation to multiple high-school, collegiate, & professional athletes competing in a variety of sports. An Austin native, Kyle graduated from Texas State University with his Bachelors of Science in Exercise and Sports Science before receiving his Doctorate of Physical Therapy from The University of St. Augustine in 2016. He is currently pursuing certification through the Postural Restoration Institute, which emphasizes the treatment of postural adaptations and asymmetrical patterns of movement. Nicole grew up in Surfside Beach before completing her B.S. in Biology at The University of Texas at San Antonio. After completing undergrad Nicole used her background in dance/gymnastics to work as a gymnastics coach in Austin where she developed a passion for working with youth athletes and discovered the field of Physical Therapy. Nicole began working at STAR as a technician while pursuing her graduate studies. She went on to receive her DPT degree from University of the Incarnate Word in San Antonio. Nicole focuses to combine manual therapy, personalized exercise programs and education to help patients achieve their individual goals. She is currently pursuing certification through the Postural Restoration Institute focusing on correcting postural adaptations and asymmetrical patterns in the body. Nicole is excited to return to STAR as a PT and work with patients of all ages to maximize function, provide education on injury prevention and restore patients to their full potential. Carol graduated with her Doctor of Physical Therapy degree from University of St. Augustine for Health Sciences in Austin. She is currently pursuing certification through the Postural Restoration Institute, which aims to restore balanced function by addressing postural patterns, adaptations and asymmetries. 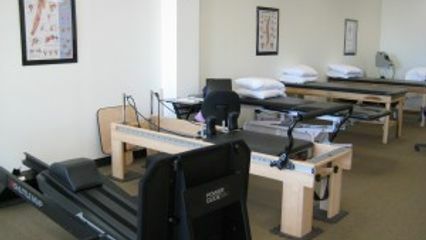 Carol has expanded her expertise with manual therapy interventions and treatments of the pelvic floor, and incorporates principles of the Postural Restoration Institute and Pilates in her work with clients who experience pelvic floor weakness, incontinence, and pregnancy and post-partum postural and pelvic floor changes. Carol enjoys working with clients of all ages and has a special interest in working with dancers, having a strong background in classical ballet technique.